Let’s be totally clear. No one on Malt is saying that the wood doesn’t make a difference. Of course it does. It makes a massive difference. You can have the best, most carefully-distilled, long-fermented, terroir-driven spirit in the world, but if you’re widdling it into knackered, nth-fill, grassy-milky, rotten, penurious oak, your resultant whisky will be a sour and shoddy thing indeed. That’s why, across the sixty-five of my scrawlings to which regular Malt readers have been subjected, I have gone on about casks and oak quality directly in this one and this one and this one and this one and this one and this one and this one and this one and this one and especially this one but also this one and this one and this one and this one and this one and this one and this one and a load more in this one as well as in this one and this one and this one and this one and this one and this one and even this one and I’ve at least alluded to it in the others, and please for Christ’s sake tell me that you didn’t just click on all of those links, and if you did then I am so, so sorry! My point, simply, is that whisky is not only about the wood, just as it is not only about the cereal, the yeast, the fermentation, the peat (or lack thereof), the distillation, the maturation time, the maturation climate or anything else. Rather it is about all of the above, and how they jangle and strum together into one orchestrated whole. How the wood, over time, coaxes the barley or corn or rye or wheat into new expressions, and weaves its own nuances into the grain. The problem is the degree to which the oak component has been fetishised; at the expense of discussing whisky’s other pillars. 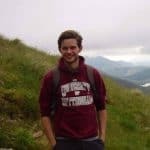 More significantly, the degree to which the discussion has centred around the word oak, rather than around the far more significant crux: maturation. The difference isn’t purely semantic. Whisky isn’t housed in oak casks to turn itself into splintery wood juice. Extraction of flavour from barrels is important – of course it is – but it is only one element of maturation; of the spirit’s metamorphosis from new make into whisky. Indeed extensive research by Dr Don Livermore at Hiram Walker has proven that the majority of extraction takes place in just the first 200 days. Which would argue time-wasting on a pandemic scale if extraction was the whole story. Maturation is a process of extraction, but also of reduction – the removal of unwanted compounds from the base spirit. 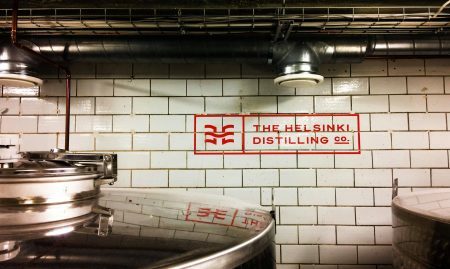 Of evaporation – whether of alcohol or water, depending on the cask’s location – and of slow oxidation, as compounds within the liquid slowly react over creeping, inexorable time. The flavours of maturation, as a whole, can’t be rushed. But there is no end to the number of the producers who, focused on the flavours of the oak cask alone, look to fast-track extraction, at the cost of maturation’s other, more complex, aspects. Alexandra highlighted many of the tricks in her wonderful piece on accelerated ageing. Today I am looking specifically at the increasingly prevalent trend towards tiny casks with enormous spirit-to-wood surface areas. I understand perfectly why the approach is attractive to a fledgling distillery. Stick your spirit into something that’s only a few gallons in size, and you’ll soon have a whisky burnished with deep, eye-catching colour; throbbing with sawn wood, vanillins and lignins. Something attractive to consumers when they spot it on a shelf. Something to ease financial pressures and soothe twitchy shareholders. These sorts of whiskies are also, admittedly, far tastier than something that’s spent an age in shagged-out, bitter oak, and emerged, water-white and spineless, with a ragged, discordant, spiky bouquet of acetone, sour milk and vague green apple skin. What’s more, when the base spirit is already well-made and packed with flavour, the package as a whole can be very impressive indeed. Just look at Reservoir. But Reservoir is the exception, not the rule. Far more common are whiskies which marry a base of raw spirit with a slathering of raw oak; two noisy monoliths blattering against each other, shouting individually rather than melding into a more complex, satisfying harmony. There is a reason that, when pressed, so many rye lovers name the Van Winkle Family Reserve 13 year old as their all-time favourite. It is because it so beautifully represents the union of every aspect of maturation with a lavishly made, impressive base spirit. “The older the better” is a disingenuous marketing trap. But “the more oak the better” is every bit as misleading, and seems to this observer to be a more-advocated philosophy by modern whisk(e)y makers. Now that so many of the modern craft distillery wave have a good few years under their belt, perhaps it is time for them to consider a slower cook. As you will be staggered to learn, in the glass today is just such a whiskey. 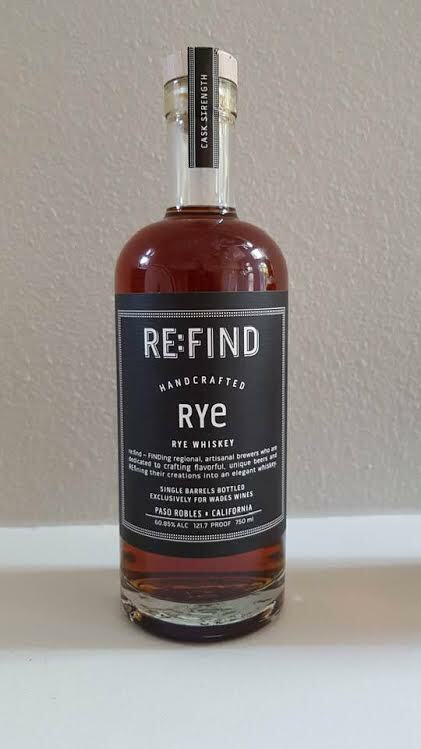 It’s a rye from the Re:Find Distillery – new one to me – and they age their plonk for “12-36 months in 10 or 15 gallon barrels”. Which, in non-Americanese is about the size of a large person’s trouser pocket, and in pedantese isn’t, strictly speaking, a “barrel”. Re:Find are based in Paso Robles, California, a place I’m more familiar with for its teeth-staining, tub-thumping Zinfandel in hipster-bait psychadelia-daubed bottles. Sarkiness aside, Re:Find seem to be an admirably sustainable operation, championing local ingredients and eco-friendliness. But since their website doesn’t tell me terribly much more about them, let’s crack on with reviewing their rye. Which in this instance is a cask strength single barrel pick from Wades Wines, muled back by Malt Musings’ Brian along with the Russell’s Reserve from the other day. On the nose: No hiding those small barrels. Big cedar and char, with that high-toned lick of polish. Rye toast and caramel drizzle. Fresh red cherries. New leather seats. It’s very young and fresh, but there’s a good bit going on. In the mouth: Very brightly red-fruited palate. Strawberries, raspberries and red cherries. Which confect with time and sashay up the pick’n’mix aisle. Still the chunky cedars and char, alongside peppery rye, but caramels bulk up the body and mouthfeel, preventing the harsher alcohols from becoming too spiky. 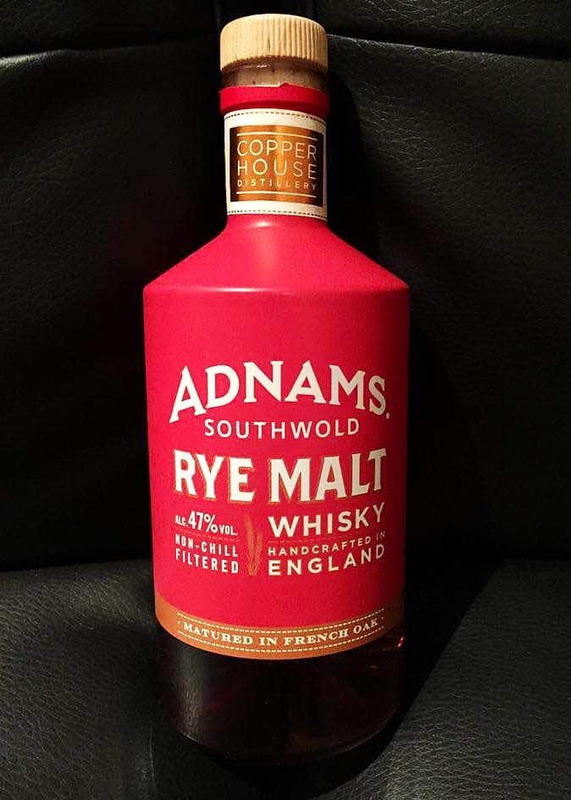 Another solid (if slightly pricey) craft rye. They do seem to be better, on the whole, than craft bourbons, don’t they? My suspicion is that this is because rye is simply a more interesting grain than corn is, and therefore doesn’t need quite as much time to develop a range of approachable flavour. And it’s certainly more attractive in its youth than wheat. Nonetheless, it’d be good to see craft producers start to develop the confidence to use “normal-sized” barrels. After all, look how much flavour White Peak got out of theirs in only six months. And, given they’re on the doorstep of some of the world’s greatest vineyards (indeed Re:Find is owned by winemakers) I think that being in single-minded thrall to new oak is worth reconsidering too. Just my two cents.